As you look at the vast asphalt parking lot stretching from the Winking Lizard to Giant Eagle, it is hard to believe that the area in front of you was once one of the most exciting places in Lakewood. National tennis tournaments, softball world championships, Al Capone's bulletproof Cadillac, yearly circuses and carnivals -- It all happened right here. The building currently occupied by The Winking Lizard was built in 1915 and was the original home of The Lakewood Tennis Club. 2000 spectators were on hand at the club on July 3, 1916 to witness a national clay court tennis tournament. 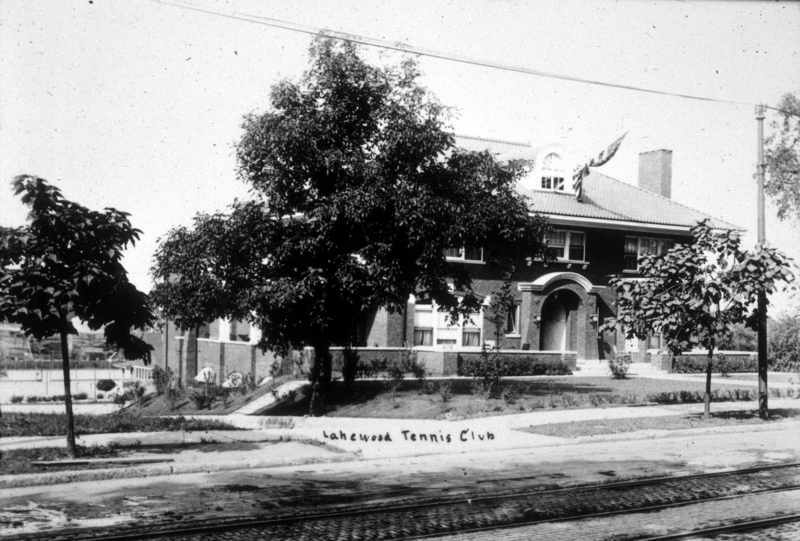 The tennis club vacated the building shortly thereafter, and in 1917 Lakewood Lodge No. 1350 of the Elks took control of the building. The Elks are a national fraternal organization with chapters (or "lodges") across the country. The lodges function as social clubs, but they also maintain a focus on doing good deeds and helping others in their community. The tennis courts next to the Lakewood Lodge were soon converted into a state of the art softball stadium that regularly drew hundreds of spectators for men's and women's games. 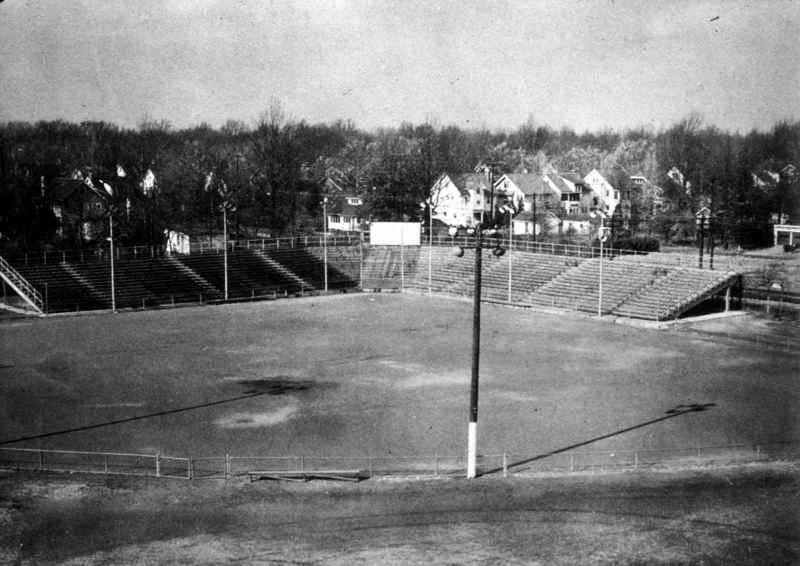 Elks' Field was the country's first lighted softball stadium, and the World Softball Championships were played there in 1944 and 1946. 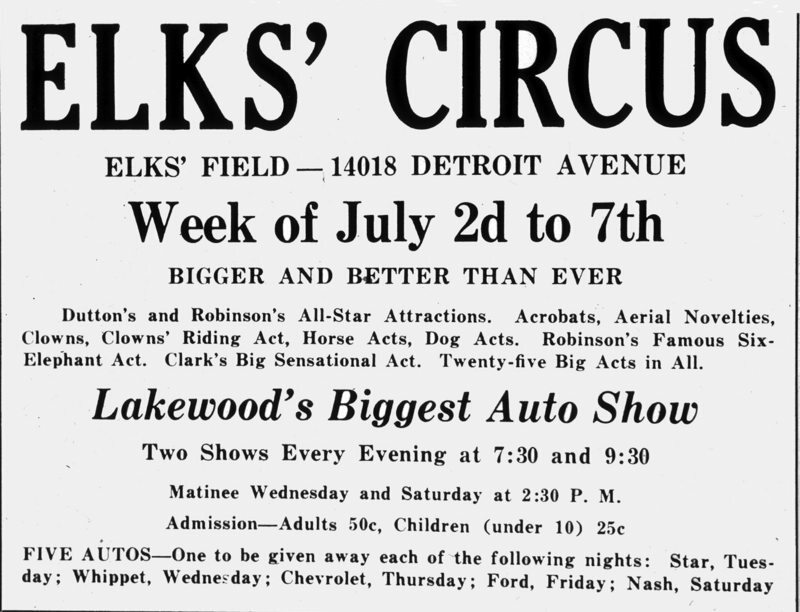 During the 1920s and 30s, the Elks Lodge also hosted circuses and carnivals at the site. Al Capone's black bulletproof Cadillac was memorably featured at one carnival. The fun at Elks' Field ended in 1958 when the land was leased for the construction of a supermarket. Today, the Winking Lizard inhabits the former Elks Lodge. 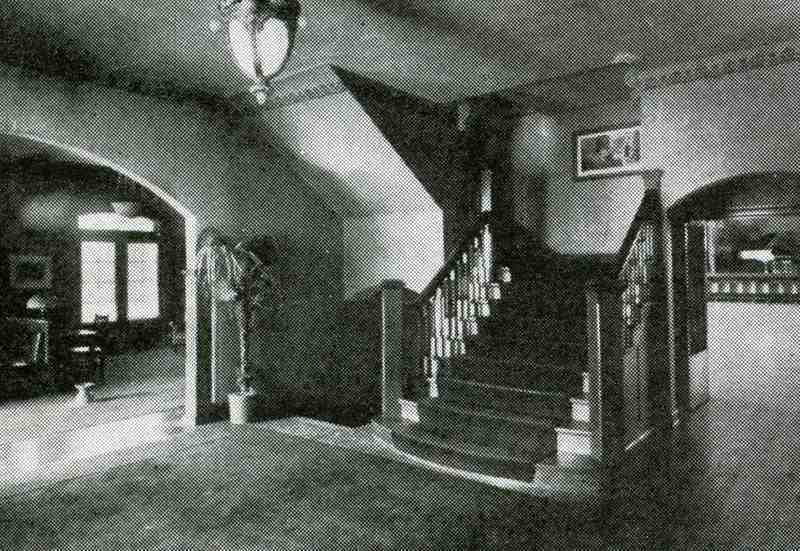 The building contains a basement bowling alley and still features a grand stairway near the entrance and an upstairs fireplace. Elk's Field: Elk's Field was the first lighted softball diamond in the United States. The 1944 and 1946 World Softball Championships were held here. Since 1958, this has been the site of a supermarket. 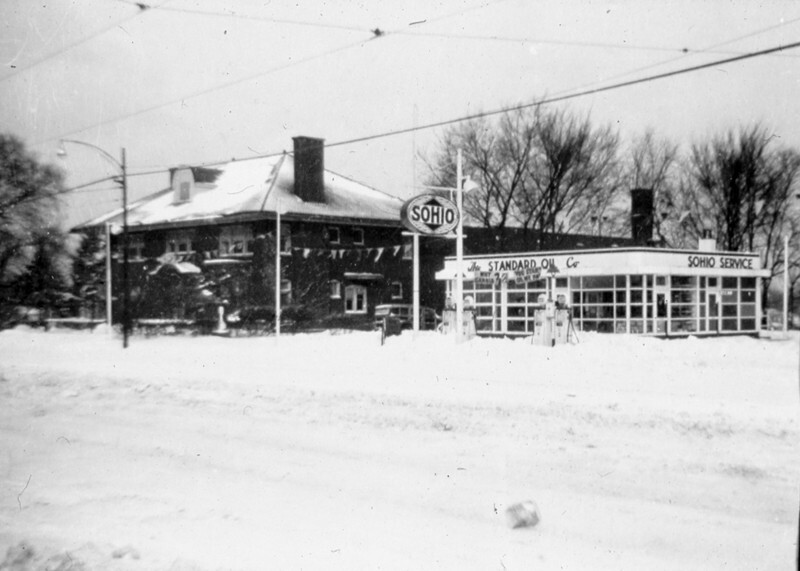 Image courtesy of Lakewood Historical Society. 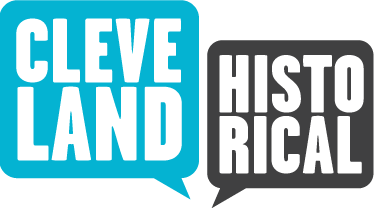 “Elks' Field,” Cleveland Historical, accessed April 23, 2019, https://clevelandhistorical.org/items/show/249. Published on Jul 13, 2011. Last updated on Apr 18, 2017.